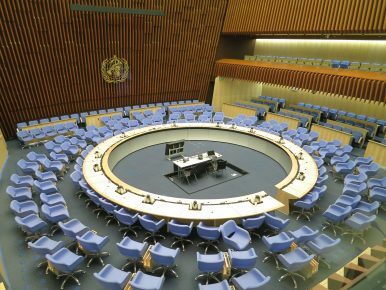 The World Health Organization has for years urged member states to take action to achieve universal health coverage by 2030. Although not a WHO member, Taiwan has offered universal health coverage to the island’s 23 million citizens since 1995. Taiwan launched the National Health Insurance (NHI) initiative by integrating medical programs from existing insurance systems for laborers, farmers, and government employees, which covered only half the population. This has since been expanded to provide equal coverage to all citizens from birth, regardless of age, financial status or employment status. Furthermore, all foreigners who legally work or reside in Taiwan are also afforded the same coverage. The NHI is a public program run by the government based on a single-payer model. Life expectancy in Taiwan has subsequently increased to levels seen in key OECD countries, with women living on average to 83.4 years old, and men to 76.8. Yet healthcare costs are far lower in Taiwan than in most highly developed countries in Europe and North America, at $1,430 per capita per year, representing just 6.3 percent of GDP in 2016. Administrative costs run at less than 1 percent of the total and public satisfaction remains high, at 85.8 percent in 2017. Taiwan’s health system has undergone several reforms over the last 20 plus years to ensure its sustainability given shifts in the socioeconomic landscape. Implementing the Global Budget Payment on top of Fee-For-Service reimbursement method effectively reduced annual medical expenditure growth from 12 percent to 5 percent since 2003. And the way premiums are collected has also changed from being purely payroll-based, to including supplementary premiums based on capital gains, which has created a surplus into the National Health Insurance Fund. In addition, the NHI’s information system has migrated to the cloud, making it much easier for hospitals, clinics, and doctors to access medical information. We encourage hospitals to upload computed tomography (CT) and magnetic resonance imaging (MRI) scans so they can be retrieved for follow-up consultations. A personalized cloud-based service called My Health Bank also enables patients to check their medical records at any time. The government has adopted a wide range of measures to reduce health inequalities affecting disadvantaged groups. We have premium subsidies for low-income and near-poor households, as well as the unemployed. We have also improved the provision of services in areas with limited healthcare resources, and implemented an Integrated Delivery System (IDS) in remote areas to strengthen its medical capacities and qualities. We also raised subsidies on preventive healthcare services for indigenous populations. In a globalized world, it is impossible for countries to overcome all their healthcare challenges on their own. It is only through interdisciplinary and international cooperation that we can build a global health system that consistently and cost-effectively meets the healthcare needs of the world’s citizens and bring to fruition the WHO’s ultimate goal of health for all. Taiwan has a great deal of experience in building and maintaining a universal health insurance system, from service provider management to financing and coping with socioeconomic change. More to the point, we believe that Taiwan’s healthcare system can serve as a model for other countries. Taiwan has a constructive role to play in creating a robust global health network, and the best way to share our experience with other countries is through participation in the World Health Assembly and the WHO. It is regrettable that political obstruction led to Taiwan being denied an invitation to the 70th WHA as an observer last year. The WHO not only failed to abide by its Constitution, but also ignored widespread calls for Taiwan’s inclusion coming from many nations and international medical groups all around the world. Yet despite this, Taiwan remains committed to helping enhance regional and global disease prevention networks, and assisting other countries in overcoming their healthcare challenges. Against this backdrop, Taiwan seeks to participate in the 71st WHA this year in a professional and pragmatic way, as part of global efforts to realize the WHO’s vision of a seamless global disease prevention network. This also goes in line with UN Sustainable Development Goal 3, which is to ensure healthy lives and promote wellbeing for all at all ages by 2030. We therefore urge the WHO and related parties to acknowledge Taiwan’s longstanding contributions to promoting human health worldwide, recognize the significance and legitimacy of Taiwan’s involvement as an observer in this year’s WHA. Because we believe that to achieve health for all, Taiwan can help.